While the majority of the Nobel Prizes are awarded in Stockholm, the Peace Prize is given every year in Oslo. 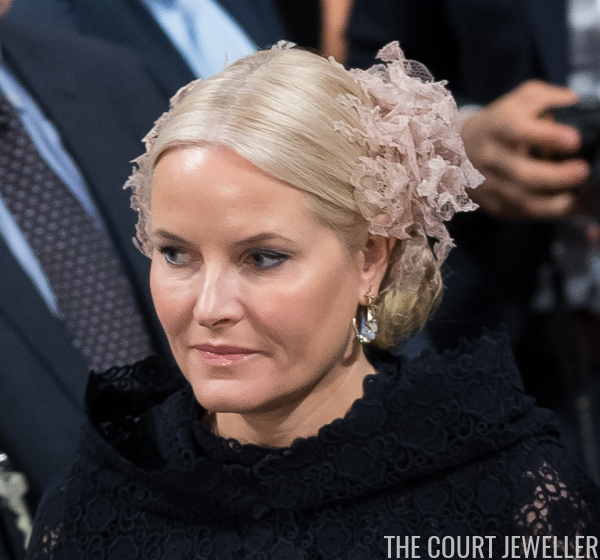 The Norwegian royals attend the ceremony each year; here's a look at the jewels that Queen Sonja and Crown Princess Mette-Marit wore for the occasion. 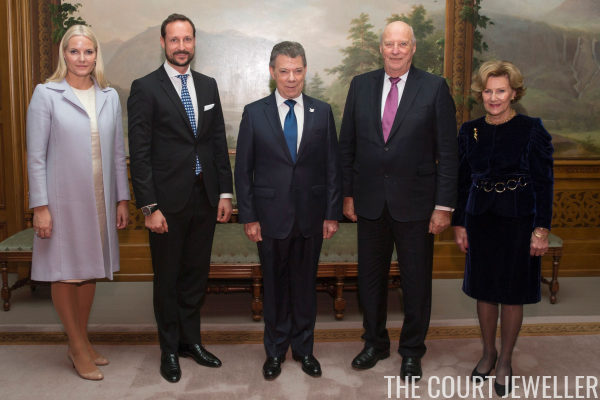 To welcome this year's winner, President Juan Manuel Santos of Colombia, to the Royal Palace in Oslo, Mette-Marit wore a pair of earrings set with multi-colored gemstones. The earrings are deliberately mismatched. 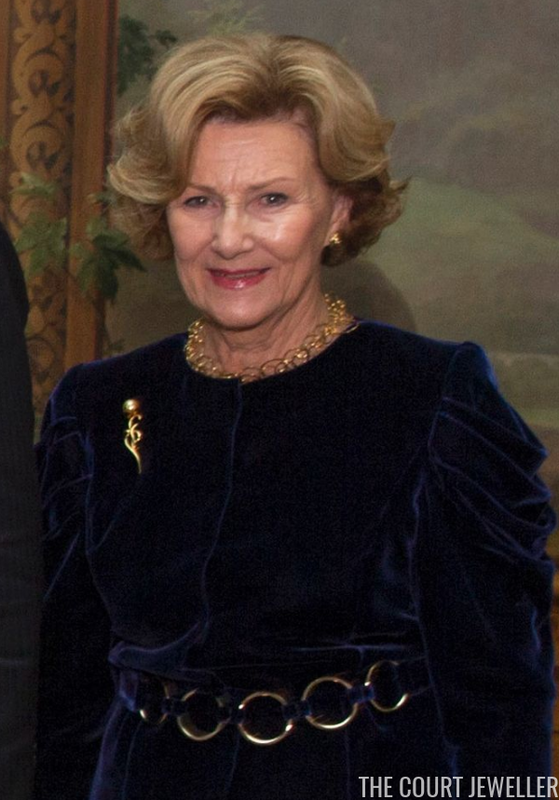 Queen Sonja has a similar pair. 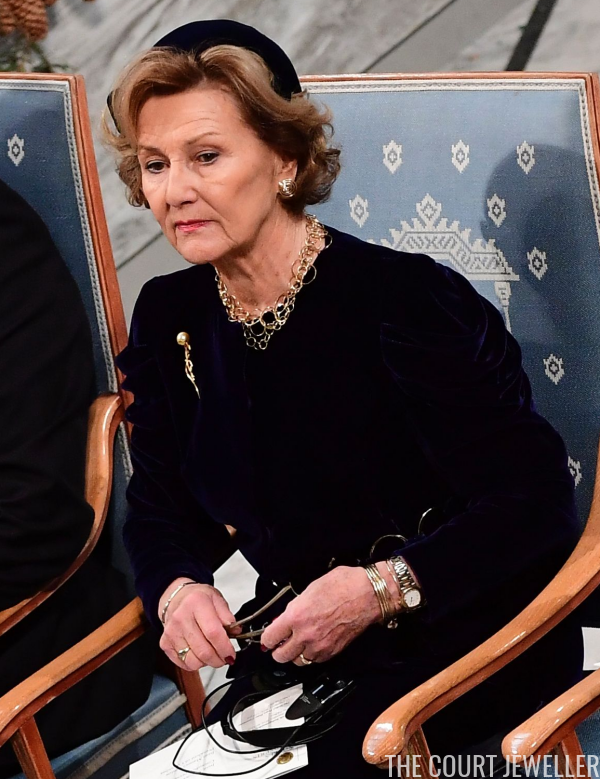 Queen Sonja wore gold jewelry: earrings, necklace, bracelets, and a brooch. Even her dress has a golden belt embellishment. 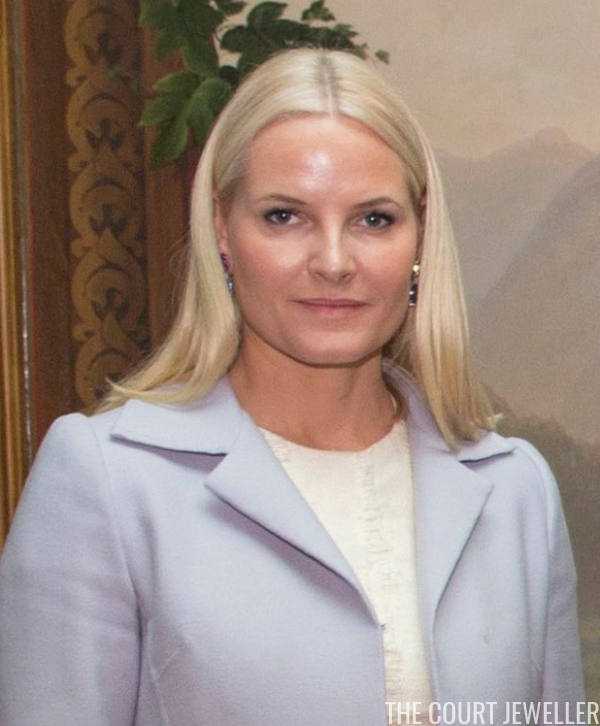 She kept the same jewelry on for the official awarding of the Peace Prize later the same day. 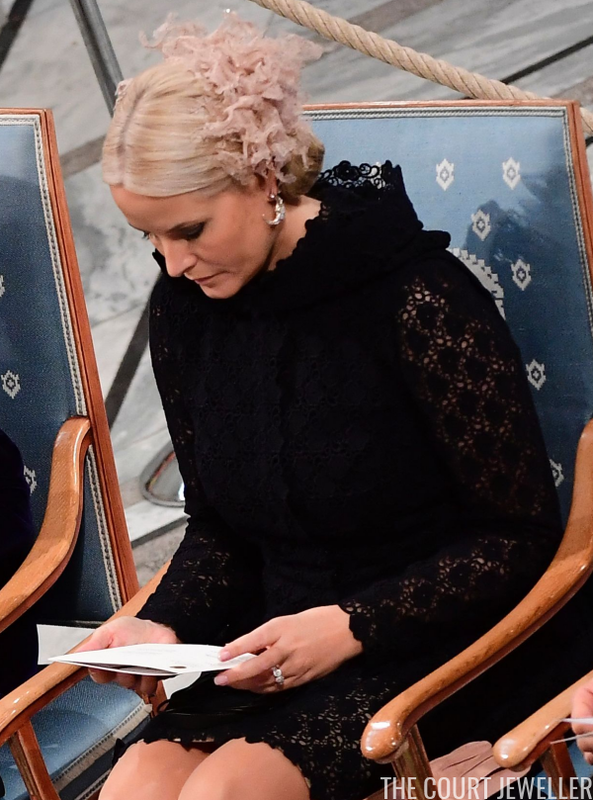 Mette-Marit, though, changed both her outfit and her jewelry. She swapped the earrings out for this pair of embellished hoops. Believe it or not, we've still not finished our Nobel coverage! Stay tuned for more from Norway!